Ari lost everything she once loved when the Five Guilds' resistance fell to the Dragon King. Now, she uses her unparalleled gift for clockwork machinery in tandem with notoriously unscrupulous morals to contribute to a thriving underground organ market. 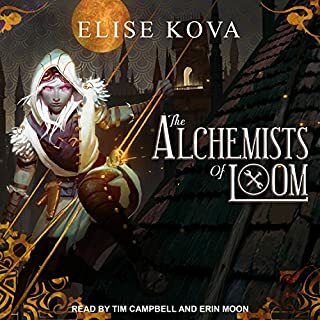 There isn't a place on Loom that is secure from the engineer-turned-thief, and her magical talents are sold to the highest bidder, as long as the job defies their Dragon oppressors. Would have preferred a single narrator. I liked the female narrator, but found the male less interesting. it was jarring to hear then switch.